In April 2016 Andrew and I embarked on an epic road trip through France and into Switzerland. Our first stop in Switzerland was Lausanne. I honestly didn’t know much about Lausanne but Andrew had heard that it was beautiful so I did my research and we had a wonderful time. Here are some of our recommendations on what to see and do! We rented through Booking.com and ended up in a cute apartment above a woman’s clothing store. I love not staying in a giant hotel because you feel more like a local. You get to know your neighborhood, frequent a favorite coffee shop or bar and just feel more at home in general. We have been fortunate in our AirBnB and Booking stays and have yet to have an unpleasant experience. Did you know that the Olympic Museum is in Lausanne? Until I started researching I had no idea! I always assumed that it would be in Greece, but here it was in Lausanne Switzerland. It was a rainy day when we decided to venture into the museum and I am so glad that we did. There was so much history packed into one space! It was a very interactive museum, great for children and adults alike. My favorite parts were the torches and medals that were on display. Could you jump this high? Lausanne is a very easy city to get around, public transportation is great and it’s also safe enough to walk around, get lost and not be worried! It’s also a great mix of old and new, and when you look at the architecture it’s very clear. We were staying in the older, more historic section but a short walk away was Flon. This is a great little shopping area with funky buildings and boutiques. We stopped in Pomp it Up to get some La Coq Sportifs and stumbled across a really cool building. Side note: If you’re not buying unique clothes and accessories when traveling, you need to start! Andrew’s Coq Sportif collection grows every time he sees a store. It’s all in the details in this little city. The buildings were just so pretty. A couple of other great beer bars that we went to were The Great Escape, which had a collegiate feel and La Grenette, very kid friendly and had a great vibe. Both bars were mainly outside spaces while Pi Bar was inside only. Another place to drink with the locals is Blackbird Coffee and Breakfast Club. They have the best coffee in Switzerland in my opinion and the food was amazing. I love going to funky places that aren’t necessarily listed in a travel guide and Blackbird fit the bill. It’s a must stop for a delicious, filling breakfast before heading out for the day. Lake Geneva, or Lac Leman as the locals call it is massive and beautiful. It was a dreary April when we visited but you still cannot deny the beauty of this largest body of water in Switzerland. So grab your camera and enjoy the swans. 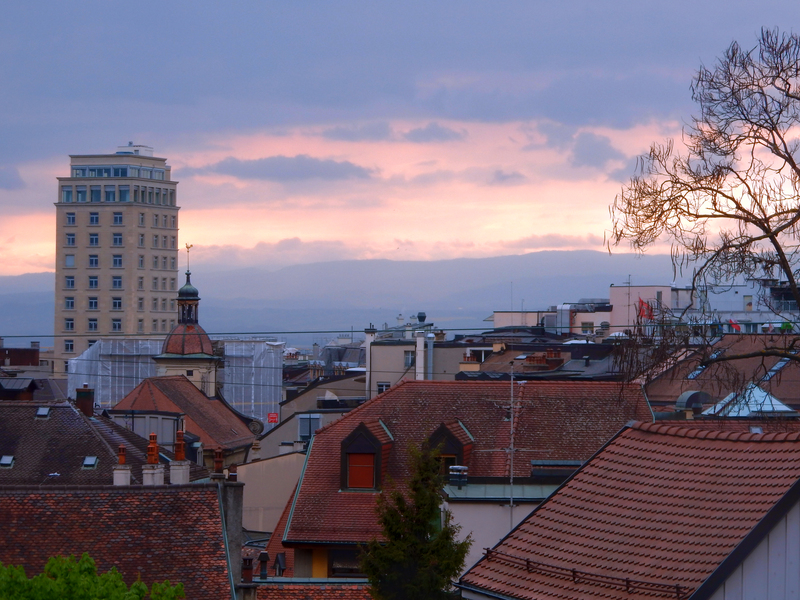 I hope you enjoyed this little list and think of Lausanne when you travel next!